The fourteenth regular session of the Northern Committee of the Western and Central Pacific Fisheries Commission (WCPFC) finishes up Friday, 7 September, after three days of meetings in Fukuoka, Japan. The committee has been considering a draft conservation management measure for a Pacific bluefin tuna catch documentation scheme. General goals for tuna management were already outlined at the committee’s December meeting in Manila, the Philippines. These included keeping WCPFC members’ total fishing effort in the area north of the 20th parallel below the 2002-2004 annual average catch levels; and keeping total catch of Pacific bluefin tuna weighing less than 30 kilograms at less than 50 percent of the 2002-2004 annual average levels. The proposal calls for any overage of the catch limit to be deducted from the country’s catch limit for the following year. In order to achieve these goals, the establishment of conservation management measures was promoted, with certain requirements, with the prerequisite that members will cooperate to establish a catch documentation scheme to be applied to Pacific bluefin tuna; and that members would also take measures to strengthen monitoring and data collecting system for Pacific bluefin tuna fisheries and farming in order to improve the data quality and timeliness of data reporting. The goal of the CDS is to make it difficult to sell illegal, unreported, and unregulated (IUU) fish, as they would lack the necessary paper (or electronic) trail. A major point to be decided is whether the CDS would be paper-based or electronic. Other questions to be debated include whether the documents should be validated and by whom, and whether there should be an exemption for artisanal and recreational fisheries. During its meeting, the WCPFC will also investigate the systems used by the International Commission for the Conservation of Atlantic Tunas (ICCAT) and the Commission for the Conservation of Southern Bluefin Tuna (CCSBT). Australia has played host to an international team as part of a wide operation against illegal, unreported and unregulated (IUU) fishing in the high seas of the Pacific Ocean, its Fisheries Management Authority (AFMA) has said. Over four weeks, AFMA hosted representatives from Australia’s Maritime Border Command; the New Zealand ministry for primary industries; the US Coast Guard; the French ministere des armées; and the International Criminal Police Organization (INTERPOL) as part of “operation Nasse”. 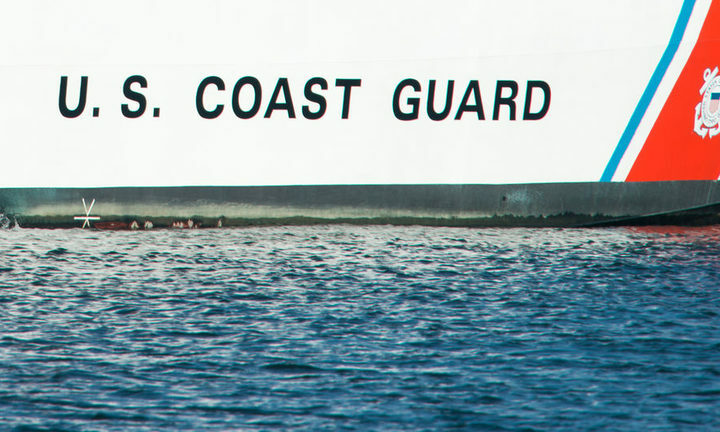 The participating nations, all members of the Quadrilateral Defence Coordination Group, worked together to coordinate at-sea inspections, aerial surveillance, and maritime intelligence sharing. The operation successfully demonstrated Australia’s ability to coordinate aircraft and surface patrol boats from all four countries, to monitor fishing operations and target IUU fishing on the high seas. 34 fishing vessels inspected, with 27 suspected violations identified, which have been reported to the relevant flag states for action, said AFMA. The operation was focused on tuna, and violations of the Western and Central Pacific Fisheries Commission rules. Reaping greater economic benefit from regional fisheries is expected to be high on the agenda at the Pacific Islands Forum leaders’ summit in Nauru this week. 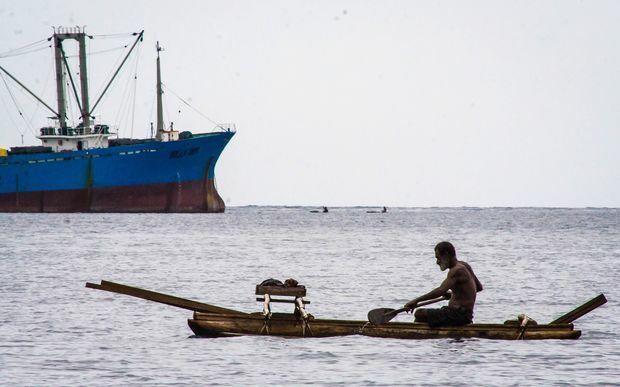 Large-scale and small-scale fishing in the waters off Madang in Papua New Guinea. Increasing the yield of the Western and Central Pacific tuna fishery shows the greatest potential for growth. FFA figures show two-thirds of the catch is taken by foreign vessels and as much as 90 percent of the fish is processed overseas. A joint regional taskforce has been set up to tackle these areas and extract more value through longline fishery reform and value chain participation. Increasing ways to combat illegal, unreported and unregulated fishing will also be a focus and one that underpins the new regional security framework, the Biketawa Plus, which may be ratified on Nauru. A just completed Pacific operation to combat illegal fishing found no breaches of the region’s rules. The exercise, the third this year and called Operation Island Chief, aimed to detect, deter, report and/or apprehend potential illegal, unregulated or unreported fishing activity. Using boats and aircraft it covered more than 16.5 million square kilometres of ocean and found no infringements or breaches. The Pacific’s 10 Forum Fisheries Agency member nations were involved, along with Australia, New Zealand, France and the United States.